The Soil’s Reflections Tour is a sold out affair in all the cities they have been into including East London this past weekend at Orient Theatre. The Native Rhythm produced and presented tour that brought East London under one roof Saturday when the trio was deliveries the best abilities and showing appreciate to the DVD with the same name. The group expressed that the tour is the only way they can get closer to the fans on their debut event ever in East London besides previous performances in all other event like the Summer Carnival, the Buyel’eKhaya as well as where they won their first at the 7th SATMA Awards that were at East London International Convention Centre. The group produces and rolls a blend of contemporary musical style with urban electro contemporary genres fused with beat box and soul in it, most importantly their music carries a universal message for the whole to hear beautiful sound, share love, hope, faith, love and joy. The group pull an amazing show with in the walls of Orient Theatre where the crowd was singing along from the first to the last song with special opening performance from Siseko of Wize Fools alongside Sipho Mtsase and other backing vocalists. The tour is a result of a 2013 released DVD, titled Reflections Live in Joburg that traces the group’s journey since it was formed eight years ago with songs such as Baninzi, Joy (We Are family) and Iinkomo reflect the spirituality of the three members and are very popular, especially with younger fans. 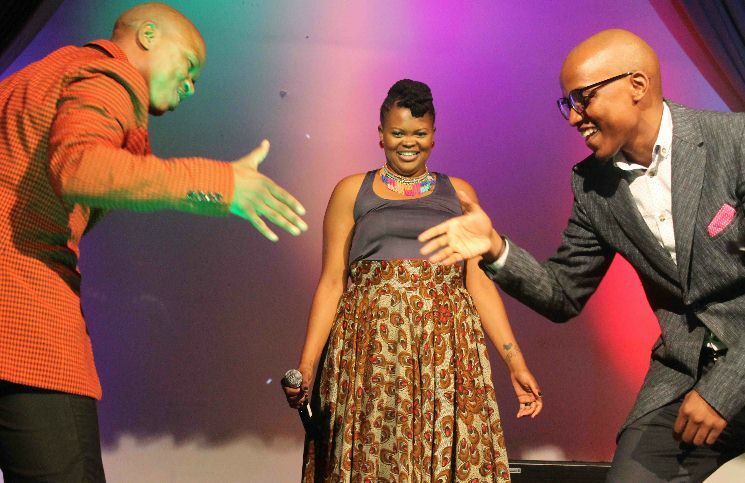 Speaking to BEATMagazineSA, The Soil was so excited to finally tap on East London on their event because it was long. Click here to watch the interview.